Today was the final race of a weekend of running, and the final race of my Loony Challenge, the Twin Cities 10 Mile. We awoke early to get ready, get a little food in our stomach, and catch the bus to the start line. Because the 10 mile race launches an hour before the Marathon, we arrived at the start line in the dark. It didn’t take long, however, for the sun to begin to rise from over the top of the new US Bank Stadium being constructed next to us. My wife and I eventually split to hit different porta-potties and make our way to the corrals. This year I ended up in the fourth and final corral, which was fine with me since I wasn’t planning on going out too hard. I didn’t need to worry though, because the pace of where I was in the corral was incredibly slow, and even stalled to a walk when we reached a small bottleneck. By 2.5 miles I was getting frustrated dodging people, but I also needed to pee. I decided to hit some bushes near the course and allow the larger surge of people to get past me a bit. As I hit the course again my wife came up along side of me and asked me what the heck I was doing so far back in the pack. I told her about the bottleneck, and needing to pee, and that I’d see her at the finish. At that point I decided that I was done going slow, and I pushed the accelerator on my pace. My first three miles were all over 11 and 12 minute miles. After I decided to pick up some speed, every mile was sub-10 (with one small deviation), and my final mile was sub-9. According to my official race results, I passed over 1000 people, almost all of them after I started pushing my personal pace. By the time I hit mile 4 things had broken up enough that I was able to pass people easily, and so I started picking people off left and right. My stomach was feeling a little bloated so I went without any nutrition for the run, and only stopped briefly to drink a small bit of water. Because of how many long runs I’ve been doing lately, this 10 mile run felt short and easy, which is a great feeling to have to culminate all of my training this year. 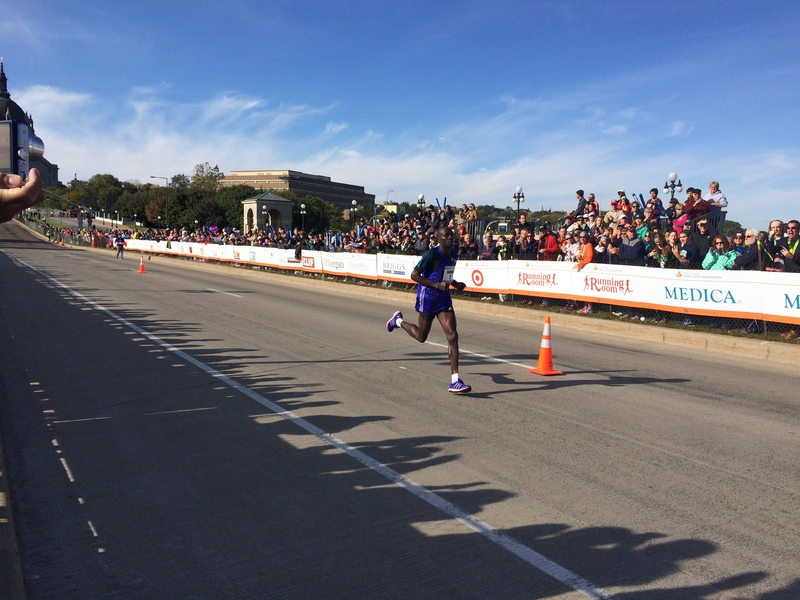 The miles melted away as the wonderful Twin Cities Marathon crowds cheered us on. As I passed all of the familiar streets along Summit I reflected on how good I was feeling. Many of the other runners were tiring and starting to walk a bit, whereas I was solidly running every step of the race. It made me feel proud of myself for what I’ve accomplished this year (and throughout my running career). I just hope I can keep up this level of fitness through the winter. 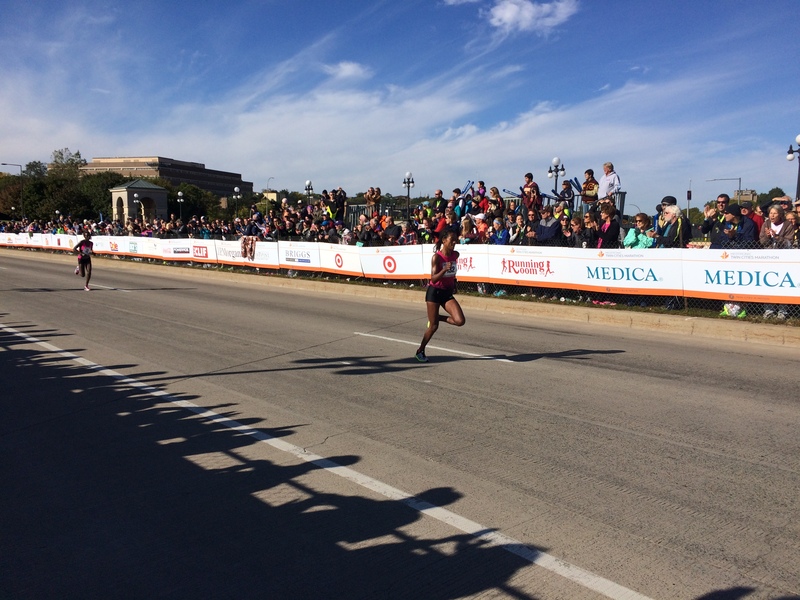 I crossed the line in 1:43:37, which considering the slow start, was the best goal I could hope for. I walked through the finish corral, grabbing some munchies, and working my way to my final destination, the Series Medal tent. It was there that I got the final medal of the weekend for the Loony Challenge, my prize for running 3 races within the span of two days. My goal for the entire challenge was to come in under three hours and thirty minutes, and I’m happy to report that I managed 3:18 total. This was a super fun challenge, and my wife and I had a great time making a full weekend of it. The weather was perfect and the course has always been one of my favorites. My wife and I finished in enough time (she PR’d her 10 mile!) to head back to the sidelines and watch as the winner of the Marathon came blasting through, missing the course record by only a minute. 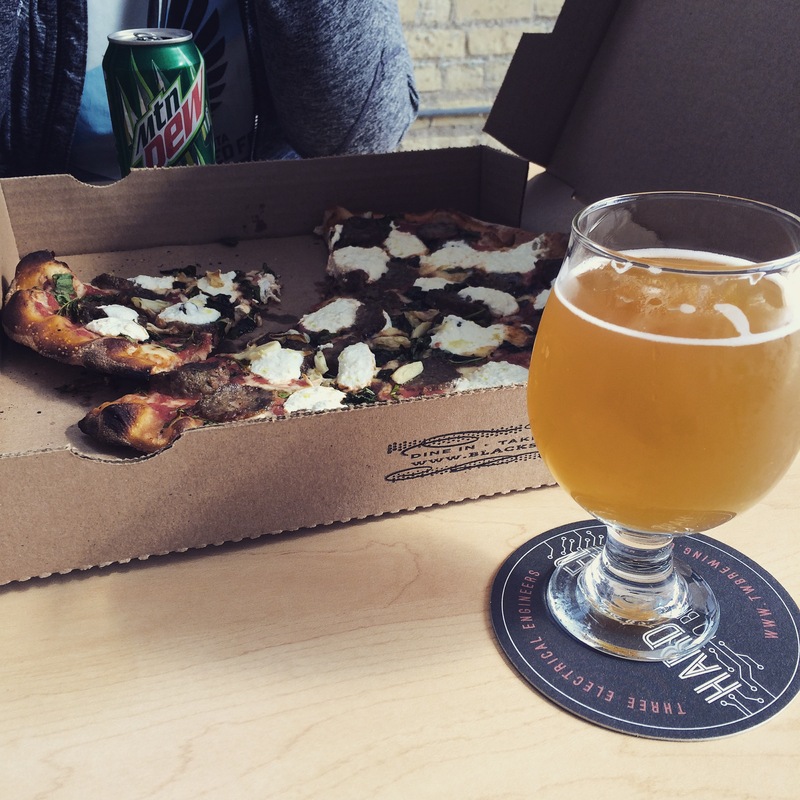 We stuck around and watched the women leaders finish, and then wrapped up our time in Saint Paul with some yummy pizza and beer. Originally this was going to be part of the culmination of my race season, but that was before I signed up for a 50K in a couple weeks. 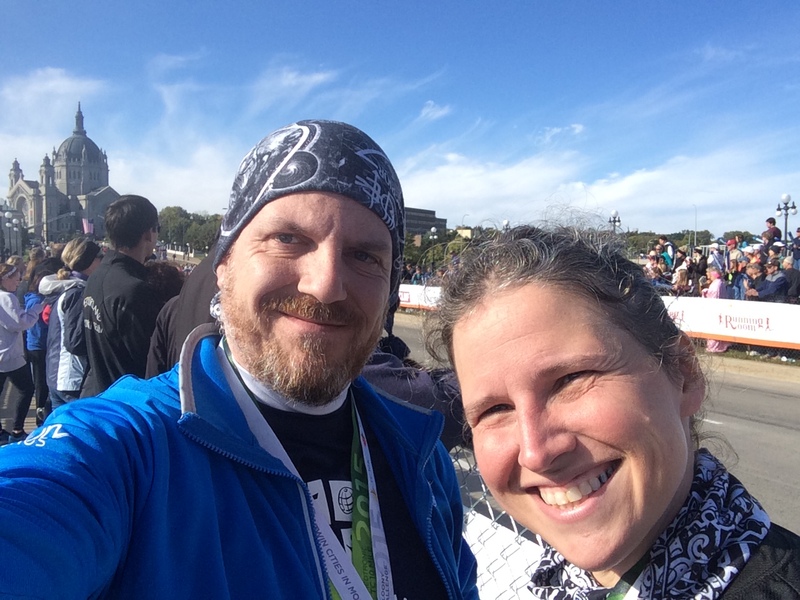 I feel like this race was great training for what I’m going to face then, and it was a great experience to share with my wife and all the other great people who were running this weekend. I can certainly see doing this challenge again in the future, and maybe even attempt the Ultra Loony Challenge that substitutes the full Marathon for the 10-mile shortcut.